This might sound a bit strange, but have you asked yourself lately (or even ever) why do you practice and what is it exactly that you practice? Do you simply repeat some exercises daily without being exactly sure why? Does every single exercise you play has a specific and clear target in your mind? When you practice you have to be efficient. You have to use this precious time in order to get better results, that will last for a long time, not only for the next few minutes. If you do that, you will improve much quicker than you have ever done before. Practicing is about gaining control over your instrument. You do not practice in order to be musical – you are musical already(*). You practice in order to be able to bring out those musical ideas through the use of your instrument and you practice in order to develop a set of techniques that will allow your musical ideas to sound the way you imagined. (*) You can surely improve your musicality and develop it but your practicing time should be dedicated to mostly other topics. I believe that still for many, when the word technique is mentioned, they automatically associate it with finger technique. 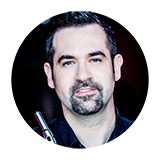 But in fact, playing the flute requires many more techniques: Air technique, Lips technique, Tongue technique- and all of them have to be practiced separately. All of those techniques are basically muscles controlled and as you practice you do 2 actions – you gain awareness and control over them and you make them stronger (as a workout in gym). In contrary to a workout in gym, the muscles we need to use (or sometimes rather not to use) are sometimes not even in our control, until the moment you discover how to control them. From that moment on you reinforce your control over that muscle to the point you know exactly what you have to do in order to control it.
" This was the most effective masterclass... "
Rina H. after her Intensive Private Masterclass…Reserve yours now! 🔊 Wish to improve your tone quality? Do not practice your ‘tone quality’! I believe you will achieve much quicker results and improvement if you consider your tone quality as the result of your control over your different techniques and muscles. Having a beautiful tone requires a combination of various techniques at the same time (such as air pressure, speed, air direction, lips aperture, lips muscles tensed or relaxed and many more) and therefore these should become the targets of your practicing. If you simply practice your ‘tone quality’, you are not trying to control each technique separately and therefore, your search after a good tone quality can take months and years. I’ve witnessed in my intensive masterclasses students who transformed and improved completely their tone quality in a matter of days(! ), only because they learned how to control and practice each technique separately. How many of you include in your daily routine an exercise that focuses on keeping your air stream steady? The control over increasing and decreasing your air pressure? On the flexibility of your lips? On adapting your oral cavity to the register? Playing with various apertures and controlling them? On Bell-notes? The position of your tongue while playing different articulations? These are the topics that I can recommend to you to concentrate on while practicing. I can promise you your tone will get better much quicker than ever and will be much more under your control. Part 2 – Practice as if you were a scientist – is now available for you! 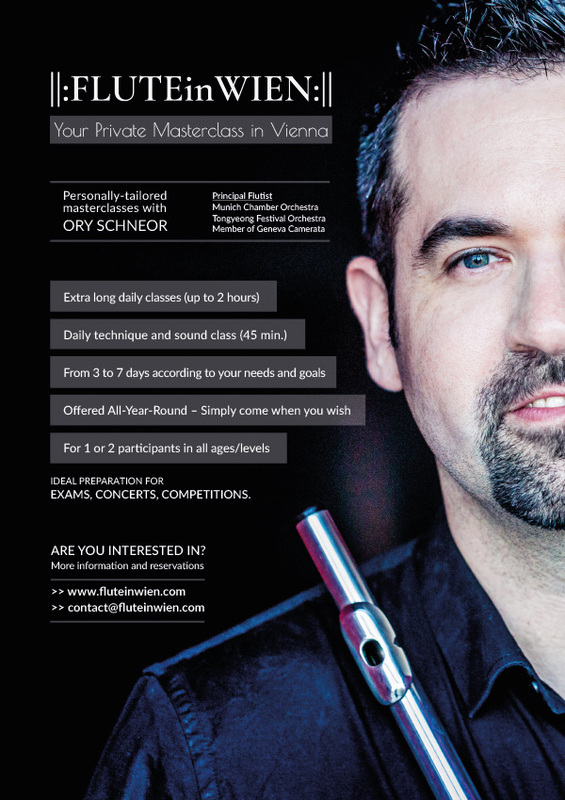 Participate in an Intensive Private Masterclass, personally tailored to your needs!